Owners of miniature zoos on shelves, unite! 1. Bullyland Lammergeier (What a surprise - Bully on the 1st place of my personal chart!! Never though I'd ever say that...) - I've received it just the day before yesterday. Well, I'm a bit disappointed with its quality - it's a great bird species, but the figurine itself is not one of the best, although a good one. 3. Safari Capybara (every new S. American species is precious for me, and this one seems to be in scale with my other neotropical critters) - I've got it and it's a real masterpiece! the best newcomer of 2011, no doubt! 7. Papo Young Lioness... that appeared to be a young male! :D :)) A good figurine too., but I'm not gonna buy it soon. 8. Papo Marmot - very nice replica! I've just received it, and it's a rare case when actual figurine looks better than on photos!! 9. Bullyland Common Buzzard - I've bought it in February-2011 right away, and I like it. 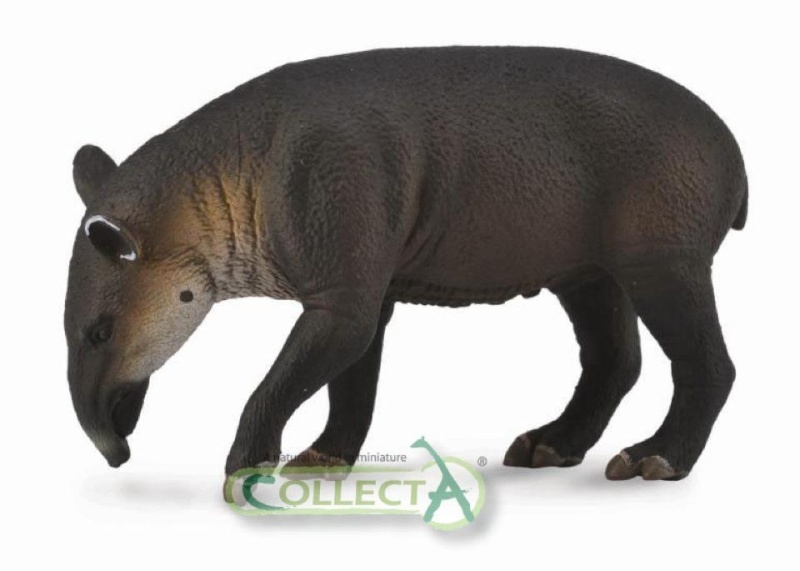 CollectA 2013: a Baird's tapir!!! 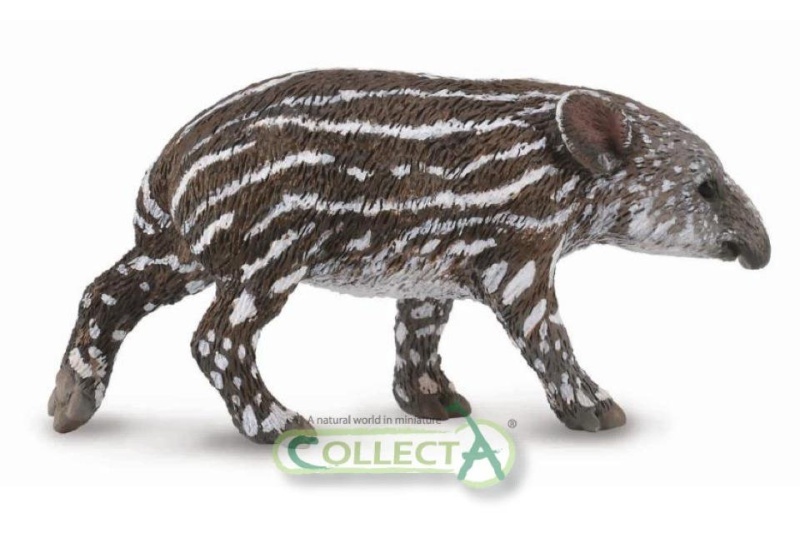 At last there'll be an American tapir on the market!!! Many thanks to CollectA for deciding to make this species! No wild animals will be discontinued. And I'm glad to know it! Moreover, they said they will release some photos of new items to their Facebook from November. Red Holstein Cattle will be repainted to Jersey Cattle. Deer, Moose and Arabian horses will be replaced for new sculpts. Leopard and Iberian Lynx will receive new and improved painting! I took some final pictures and want to post them here as a farewell or swansong of my Africa-in-a-cabinet. Yeah, the display became a bit too crowded in two years - you can compare it with how it looked at the beginning. And here's the picture I've taken for Mojo photo contest. It's called "This prey is too much..."
Guys from STS forum have found and posted the list of new Schleich-2013 figures - here. It's rather early for this info! Macaws, vulture and viper sound very good. Hopefully they'll be realistic and not too large! It's already September, so the time has come to the question: what will Schleich introduce in 2013? Last year the info about what Schleich was going to introduce in 2012 was gained in the first days of November. A year before, in 2010, the list of novelties was published on November, 3. In 2009, we knew the info of the upcoming Schleich line-up unusually early - on October, 15. In 2008 and 2007 we got the info in December. Hopefully, this year we’ll know everything as early as possible. And let's hope the new stuff won't disappoint us, collectors!!! - "Im Zuge der Familienbildung wurden viele attraktive Tierfamilien komplettiert..." - does it mean we'll see more babies for "childless parents" in 2013? Maybe tapir calf? Or croc baby?? - "Mit dem Wanderfalken erweitern wir das erfolgreiche Segment der Raubvögel" - if this segment is "erfolgreich" (successful), maybe we'll see a new bird of prey? 2012 Barn Owl by Safari Ltd.
I’d like to share pictures of my newcomer – brand new Safari Ltd Barn Owl. To my mind, Wings of the World Series is the real gem of Safari Ltd. model range, and this bird is the only addition to the series this year.